Chevy is already a few months into its gradual roll out of its new Chevy Bolt electric car, and the local dealerships are excited to get people scuttling about in them with an onslaught of ads—even if they don’t all quite understand exactly how an electric car works. 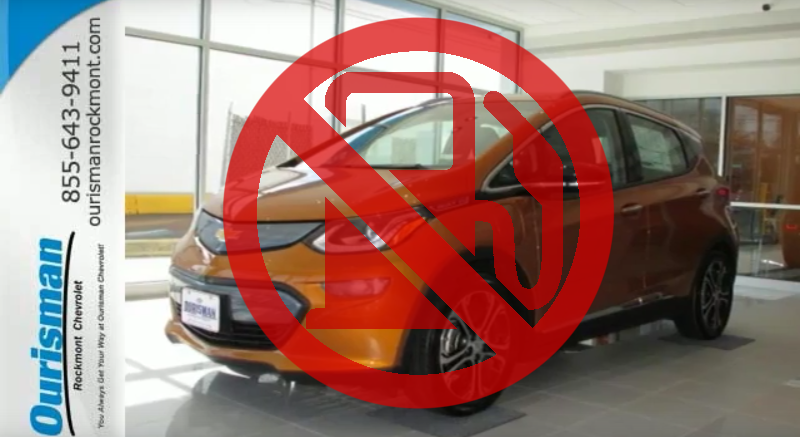 As Automotive News reported earlier this week, dealerships are pricing the new Bolt EV all over the place, some thousands of dollars under MSRP, while others are begging for a markup while it has no direct competitors. The ad makes the bold claim that the Chevy Bolt’s “precision tuned electric drive unit engine [...] will wring every last mile it can out of a drop of fuel”. The issue here is that a key characteristic of an “electric drive unit engine” like the Bolt’s is its lack of need for drops of fuel of any sort. It doesn’t even require regular oil changes, to many dealerships’ chagrin! Let’s just hope that anybody on their way to Ourisman Chevrolet to pick this puppy up knows exactly what they’re getting into, and that the service department got the memo and has at least a rough idea of how to work on this fancy new fuel-less machine.